Florida Gov. Rick Scott (R) was planning on spending his last morning in office filling three seats on the state's Supreme Court, when three of the justices are forced to retire. The Court, however, ruled on Monday that the new governor will have to replace those justices, not Scott. According to the Tampa Bay Times, the one-page ruling said, "the governor who is elected in the November 2018 general election has the sole authority to fill the vacancies"
"Under the state constitution, justices must retire by the time they reach 70 but can serve out a six-year term if they turn 70 more than halfway through the term. That means justices Barbara Pariente, Fred Lewis and Peggy Quince must leave the bench by midnight on Jan. 7, the same moment Scott’s second term ends," the Sun-Sentinel reported. Scott wanted to shape the court for future generations. The three justices who are retiring make up the Court's 4-3 liberal majority who often ruled against Scott and conservative causes. If he were able to appoint the justices he wanted to, he would be able to flip the Court and make it more conservative. Part of Scott's plan was to work with his predecessor to create a list of finalists and try to come to a consensus on replacements, the Tampa Bay Times reported. A similar agreement occurred in 1998 between Outgoing Gov. Lawton Chiles and incoming Gov. Jeb Bush. "I am pleased the Florida Supreme Court has brought closure to this important issue finding, as we have consistently stated, that the next Governor of Florida will appoint the next three Supreme Court justices,” Gillum said in a statement. “It is a duty I take extremely seriously and, as governor, one of my top priorities will be to restore integrity to the judicial nominating process." If Gillum does win the election, he may not be able to pick the justices he wants on the Court. He has to work with with Judicial Nominating Committee (JNC) to come up with a replacement. The governor appoints all nine on the JNC. Five of the committee members are his choosing and four are recommendations from the Florida Bar, although he can reject those referrals. 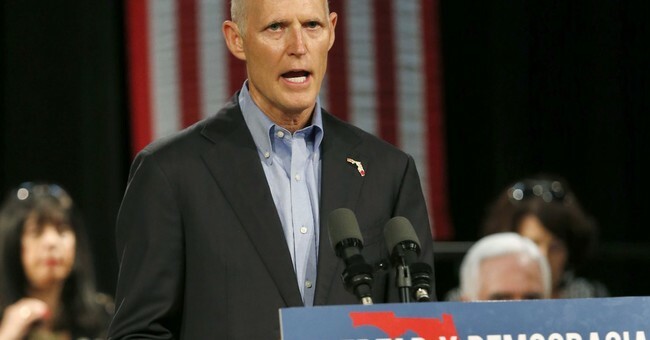 "Scott’s appointees’ terms don’t expire until well into the new governor’s term, so they’ll still be able to restrict the nominees the new governor can select," the Sun-Sentinel reported. "For each vacancy, the JNC must submit at least three and as many as six nominees to the governor, who chooses the nominees from those lists." The League of Women's Voters, a progressive organization, were the ones who initiated the lawsuit against Scott.